Replacement:PRT-11037. 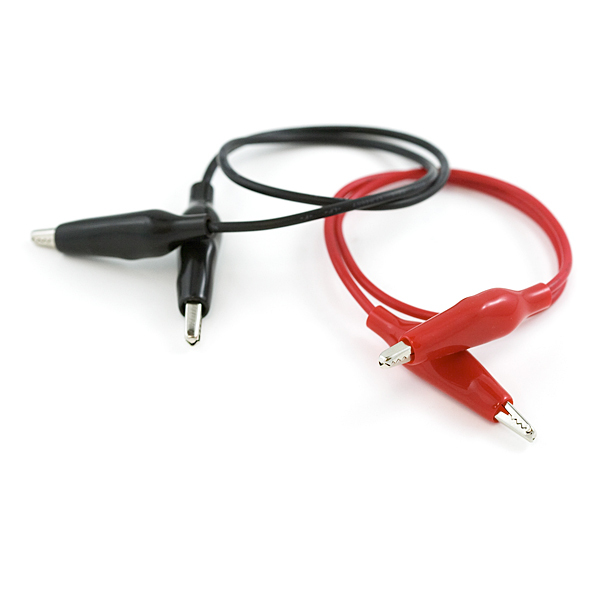 We now carry these Alligator Cables as 10 packs, we found it very rare to need just one. This page is for reference only. These are standard alligator clip to alligator clip cables. 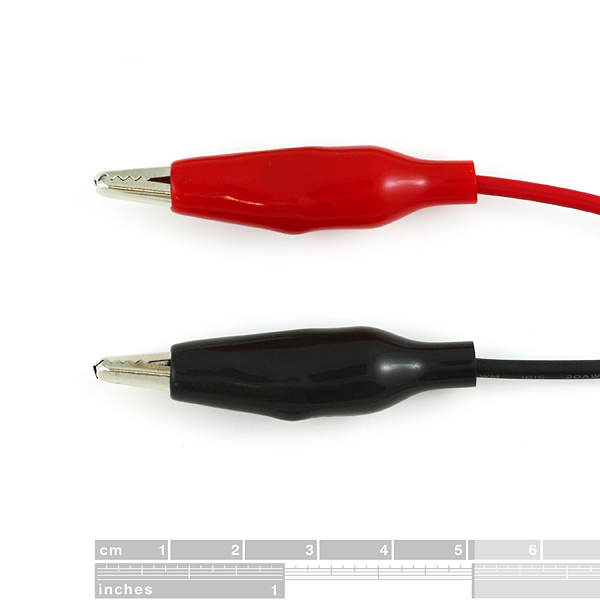 Package contains a pair of red and black cables. Be advised these are the low quality type of alligator clips where the teeth don't meet evenly. They work fine for large terminals, but small diameter, high-gauge wire will slip right through them. These are very poorly made and slippery (don't open easily) making them very hard to work with. Go to Radio Shack and get a 10-pack for $7.99, you'll be happy you did. The teeth on mine were fine! I have nothing to complain about really, I like it. The teeth on my clips come together evenly, but they have a tendency to get skewed (The top and bottom half of the alligator will get misaligned). Additionally, these clips seem to need a lot of force to get open, the springs inside the clips are stronger than normal. Overall, these alligator clips get the job done, but aren't as high quality as other alligator clips I have used.